Eagle Eye director D.J. Caruso is in talks to direct G.I. Joe 3, according to THR. 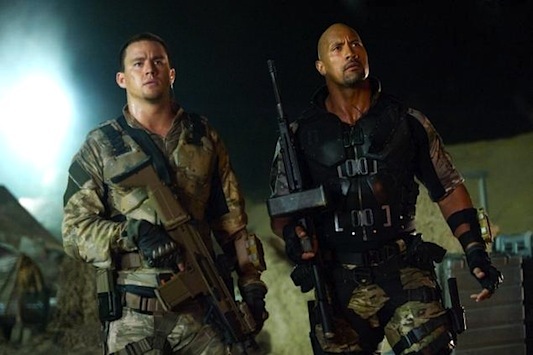 Caruso would take the helm from Jon M. Chu, who directed the previous Joe film, 2013’s G.I. Joe: Retaliation, and had been expected to return for this third installment, but he eventually moved on to go work on a live-action Jem and the Holograms movie. Over a year after Paramount greenlit a third Joe film in early 2013, it was revealed that the story, from a script by Jonathan Lemkin, would center more on Dwayne Johnson‘s character, Roadblock. Caruso and Johnson will reportedly need to meet privately before the deal is sealed. Lorenzo di Bonaventura is back producing, along with Hasbro’s Brian Goldner. ‘I Am Number Four’ Director D.J. 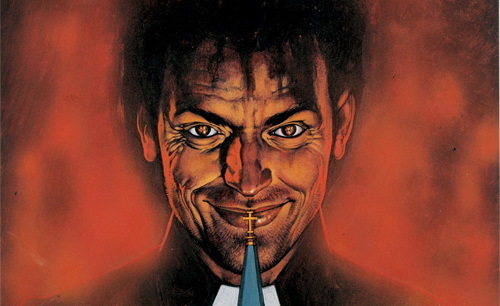 Caruso To Finally Bring ‘Preacher’ To Life? A movie adaptation of Preacher has been talked about for so long that it’s rarely worth even bothering with news like this, but fans of the comic still hold on to hope that some day a faithful adaptation will find its way to the screen…or at least they did, until today that is. According to director D.J. Caruso via his own Twitter account, he’s officially closed a deal to take on Preacher, making him the latest in a line of names attached to the movie at one point or another. Caruso is of course best known for his work on action/thrillers like Disturbia, Eagle Eye, and the new movie, I Am Number Four. 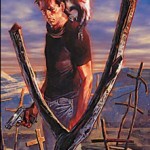 ‘Y: The Last Man’ Adaptation Still Stuck; To Make Movies Or A TV Series? For what seems like an eternity now, an adaptation of Brian K. Vaughan‘s incredible graphic novel series, Y: The Last Man, has been in the works. For most of that time, Disturbia and Eagle Eye director D.J. Caruso has been attached along with his star from those two movies, Shia LaBeouf. At first, LaBeouf seemed a perfect fit for the lead role of Yorick Brown, but as time has moved on and the actor has become a much bigger star, this team has felt less and less fitting and things never played out. Since then, The Incredible Hulk and Clash of the Titans director Louis Leterrier‘s name has been said to be in the mix to take it on, and while nothing official has come of that, MTV was able to talk to him recently about where things stand in the ever-difficult task of bringing a live-action version of the graphic novel to our eyes. 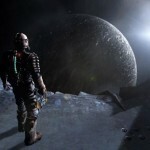 Dead Space is a fairly popular video game from Electronic Arts that came out on October 14, 2008, and is now officially being turned into a feature film. The man given this newest challenge of turning a video game into a successful movie, is D.J. Caruso. The director has a Shia Labeouf double-feature under his belt in Disturbia and Eagle Eye, as well as the much-talked about adaptation of Brian K. Vaughan’s Y: The Last Man that was also set with Labeouf (Read: Check That! Shia LaBeouf Not As Done With ‘Y: The Last Man’ As Once Thought) but is currently on the back burner and a long way from reaching production. As we do with any kind of horror that takes place in outer space, Dead Space is very similar in tone to the Sam Neill and Laurence Fishburne movie, Event Horizon. It takes place in the 26th century and follows an engineer named Isaac Clarke who is part of a team that’s sent out to check on a mining crew that sent out a distress signal. While trying to dock, their ship is badly damaged and the crew needs to discover a way to repair the damage — but what they actually discover is much more terrifying: the crew has been turned into Necromorphs, which means that they’ve been taken over by an alien species similar to a virus, which makes them very scary, and very dangerous. Just a few days ago, word swarmed the internet that Shia LaBeouf had decided to step away from the long-rumored Y: The Last Man adaptation (Read: Shia LaBeouf Takes Himself Out Of The ‘Y: The Last Man’ Equation), where he was set to play the lead Yorick Brown behind director D.J. Caruso. LaBeouf had apparently come to the conclusion that the character of Yorick was far too similar to his Transformers character, Sam Witwicky, and that wasn’t a good thing for him. Many loved this news because, well, Yorick Brown is a hell of a lot more complicated than Sam Witwicky, for one; but if LaBeouf did play the part in Y, he would definitely seem like Sam Witwicky just by default, and this was bad. Unfortunately for those who had become elated with this recent development, it has now quickly been clarified. Shia LaBeouf sat down with Frosty from Collider and let it all pour out. He explained that Y: The Last Man is his absolute favorite comic book, and it’s D.J. Caruso’s favorite as well, so they still really want to do it. He also clarified that right now, right this moment, the script is nowhere near ready. But because of the similarity of Witwicky and Yorick Brown, he wants to do something else now, but doesn’t want to completely walk away from Y: The Last Man either. This means that LaBeouf is looking to do a couple of other projects over the next few years first, and then, when things are more prepared, he would be willing to look at this project again. In an unexpected turn-of-events, it appears that actor Shia LaBeouf is going to pass on starring in the feature film adaptation of Brian K. Vaughan‘s brilliant graphic novel, Y: The Last Man, as Yorick Brown — a role that he had long been rumored to be a lock for. It seems like an eternity ago that we heard that a movie based on Y was on the way. Then it was announced that Disturbia director D.J. Caruso would be directing the movie, and that the then-budding superstar LaBeouf would be starring. All was good in the world then. Since that time, LaBeouf has become one of the top young faces of Hollywood, starring in blockbuster franchises with Transformers, Transformers: Revenge of the Fallen, and Indiana Jones and the Kingdom of the Crystal Skull. This explosion of popularity has ultimately left a bitter taste in many a mouths and the once-perfect fit for Y: The Last Man suddenly didn’t seem so appealing anymore.